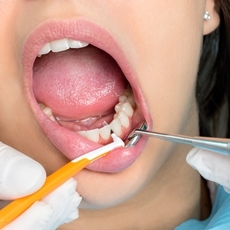 Treatment for mouth disorders varies, depending on the problem. If a mouth problem is caused by some other disease, treating that disease can help. It is also important to keep your mouth clean and healthy by brushing, flossing, and not using tobacco. Article: Sarcoidosis with oral involvement.